Some relatives of the passengers on board the missing Malaysia Airways plane remain convinced they will see their loved ones again. About a dozen Chinese families gathered outside the airline's Beijing offices yesterday to express anger and disbelief at the announcement that the piece of wreckage that washed up on Reunion Island last week is from MH370. Some families say they do not believe the authorities, claiming they have been lied to since the aircraft disappeared in March last year. Two-hundred-and-thirty-nine people had been on the doomed flight. 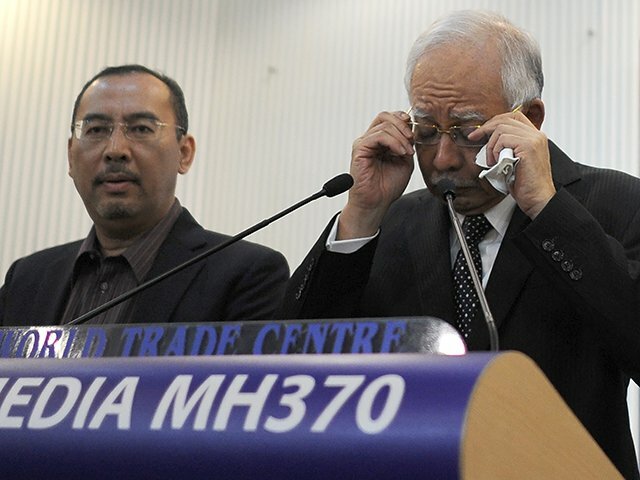 Malaysian Prime Minister Najib Razak is hopeful the discovery will help provide certainty to the passengers' loved ones. "We now have physical evidence that, as I announced on March 24 last year, flight MH370 tragically ended in the southern Indian Ocean," he said. Watch the Prime Minister's announcement below. Meanwhile, Australian Prime Minister Tony Abbott says experts leading the massive search for the plane are optimistic the main part of the wreckage will be found. "What we've found in the western Indian Ocean does seem to indicate that the plane did come down more or less what we thought it did and it suggests that for the first time we might be a little bit closer to solving this baffling mystery," he said.